Creating a window treatment for an arched window can be difficult. It is almost impossible to find curtains that fit the window correctly. Also, an arched window needs an arched curtain rod, another potential difficulty. Instead of hanging curtains, use decorative window film to cover those windows. Arched windows can be a decorator's dream or nightmare. Use special window cling film to cover your windows. This window cling material comes on a roll and you just cut it to the size you need to fit the window glass. To make your window look its best, create a template for your window using large butcher paper or newsprint. Lay this paper up against the window and use a pencil to create an outline of the window. Take this outline, cut it out and use it as a pattern for cutting out the window cling to the proper size. This prevents wasting the cling or getting wrinkles in it from trying to fit it properly to the window glass. The window clings are easy to remove from the glass whenever you want. There is no adhesive residue to clean up after removal, making it a great option for renters. Window clings can be used over and over again. Covering your windows with decorative contact paper is another option for window film. The only difference is that it has a sticky back. This makes it an ideal way to cover arched windows when you own the property or you know you are going to be there for a longer length of time. Measure and cut the contact paper the same way you would the clings. Decorative window film offers you privacy where necessary. One of the good things about the window film is that it offers privacy, but still allows the light to enter the home. Rooms that definitely need privacy where window films work well are the bathroom and the bedroom. 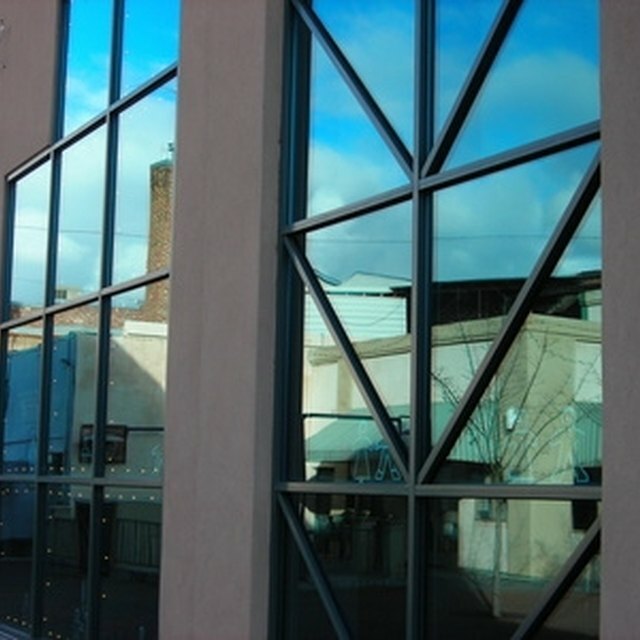 Window films come in different styles and colors as well as designs. The key to putting film in the windows is to have perfectly clean glass. Any moisture or dust left on the glass will prevent the film from sealing onto the window. Use a good quality window cleaner or use vinegar and newspaper to clean the windows. Using crumpled-up newspaper does not leave lint the way rags or even paper towels can.